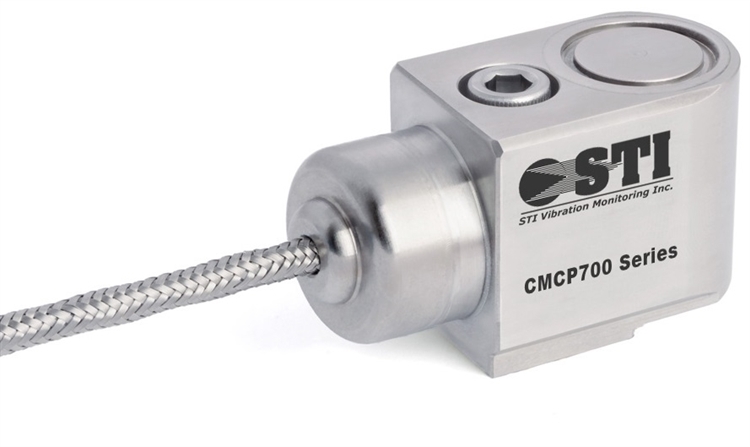 The CMCP422VTS-I Series are loop powered 4-20mA output sensors which are capable of interfacing directly to an analog input card on a PLC or DCS system. The 4-20mA output is proportional to the full scale range in terms of Velocity and are capable of transmitting signals over a long distance without signal loss. The integral cable features a ETFE cable with a stainless steel overbraided armor.